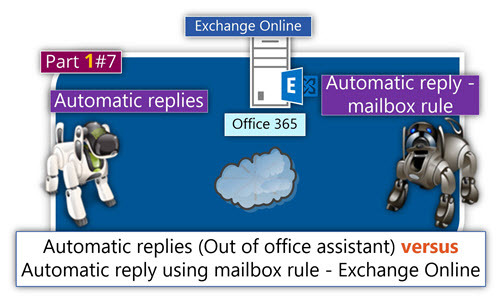 In the current article, we continue to review the steps that are needed for completing the tasks of – creating an Exchange Online shared mailbox that will serve as a “service mailbox” for the service request tickets that will be opened by our organization users. 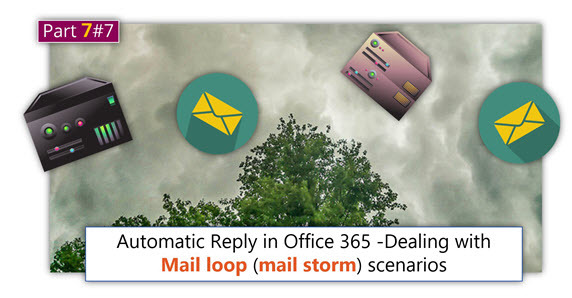 In the former article , we have reviewed the process of creating the Help Desk Shared mailbox + created the required Automatic reply mailbox rule. 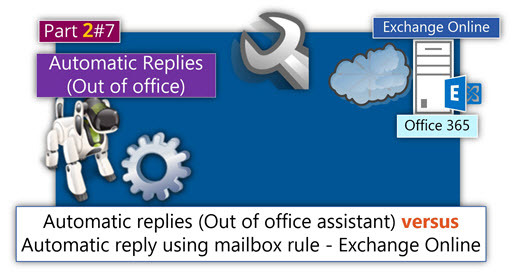 In the current article, we review the rest of the administrative tasks of our scenario. 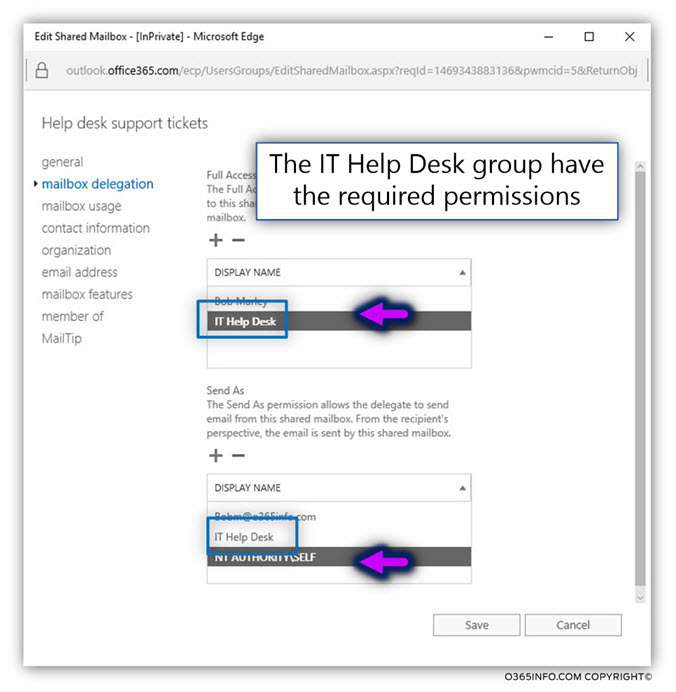 Creating a new security group for the Help Desk team and Assign the required permissions to the Help Desk group on the shared mailbox. 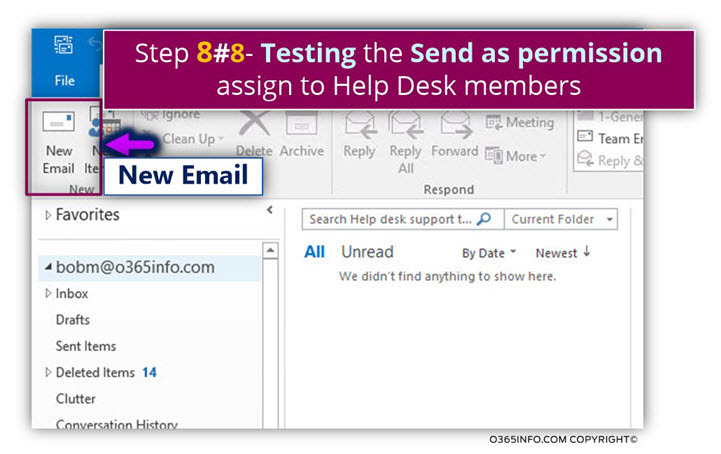 Testing the Send As permission assigned to Help Desk members. 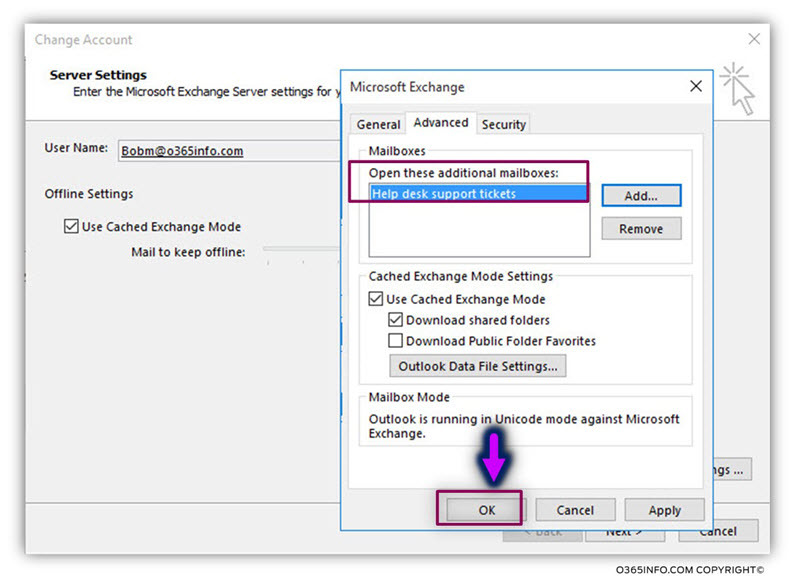 Technically speaking, this step is not a mandatory step because theoretically, we can start with the process of creating a new “Help Desk shared mailbox” and then in the second phase, provide the required permissions for each of the Help Desk members separately. Although we can assign permissions for each of the Help Desk members separately, the more efficient and the more “right” administrative method is – to provide permissions to a “Group”, instead of providing permissions individually for each user. 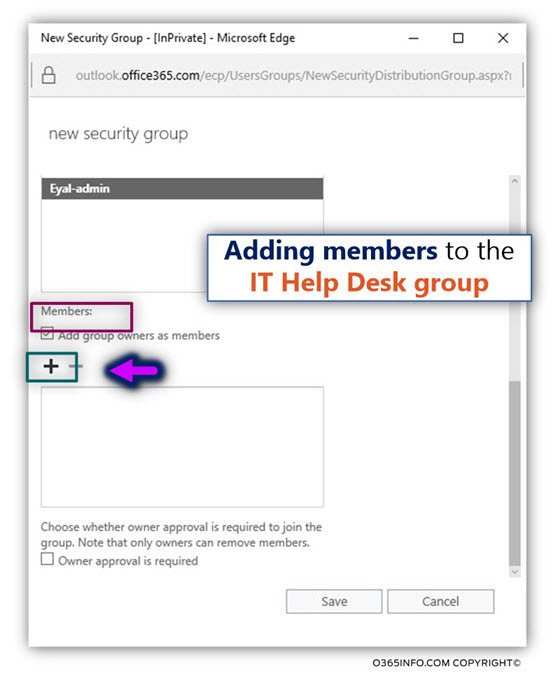 When providing permissions to a group, each time that a new Help Desk member is accepted or each time that a Help Desk member is leaving the company, all we need to do is add or remove the user from the security group. 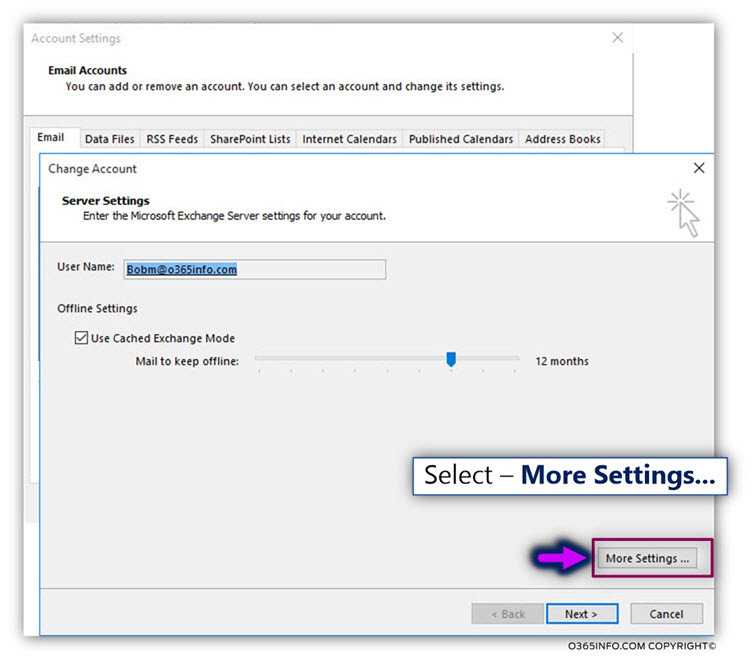 When we want to assign permissions to a “Group,” the Exchange Online group should be created as a “Security group” and not as a standard Distribution group. An Exchange Online Security Group serve as a “security group” + Distribution group that uses for mail purposes. In the next step, we will add some members to the security group. In our example: there are three members in the Help Desk: John, Bob, and Alice. 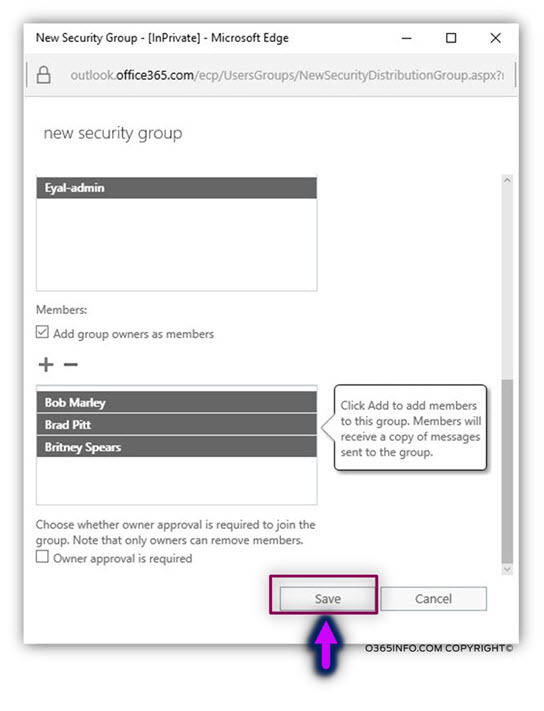 In the following screenshot, we can see that a new Security distribution group was created. 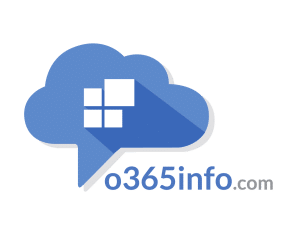 In this step, we assign the required permissions to the Help Desk security group (IT Help Desk) to the Help Desk Shared mailbox (Help desk support tickets). 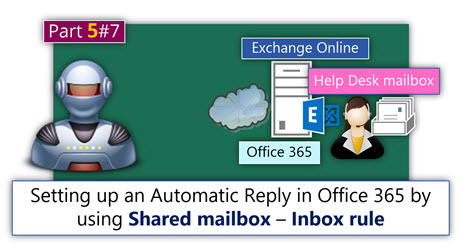 Full Access + Send As permissions on the shared mailbox. 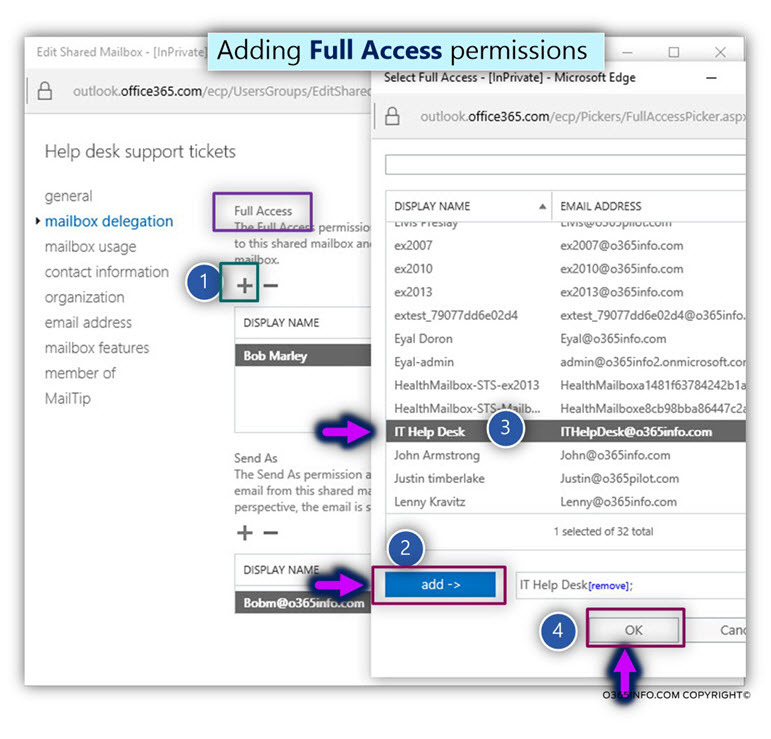 In this step, we will assign the Full Access permissions to the Help Desk security group (IT Help Desk). 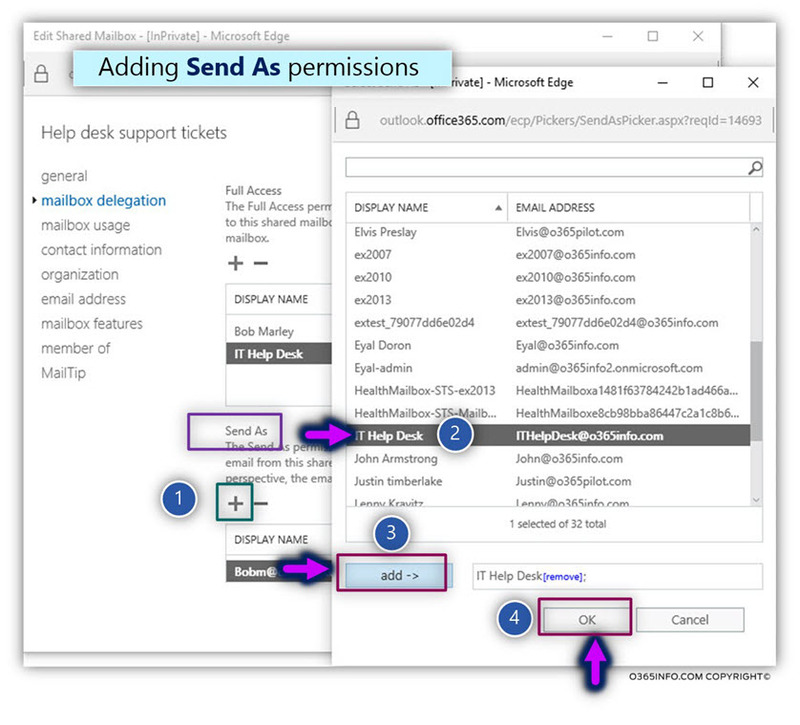 The Help Desk members need to have the Full Access permissions, so they will be able to add the Help Desk Shared mailbox as an additional mailbox to their Outlook mail profile. From the recipient list, select the recipient that will be assigned with the Full Access permissions. In our scenario, we select the IT Help Desk security group. 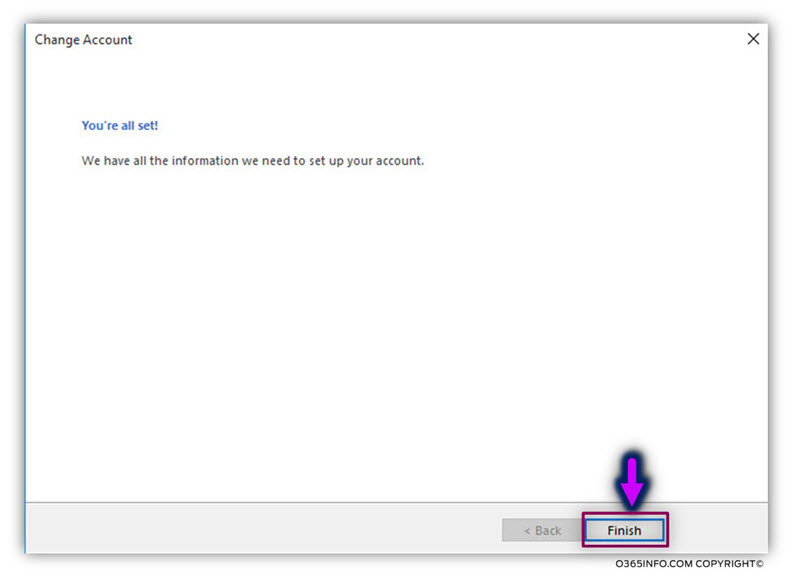 In this step, we will assign the Send As permissions to the Help Desk security group (IT Help Desk). 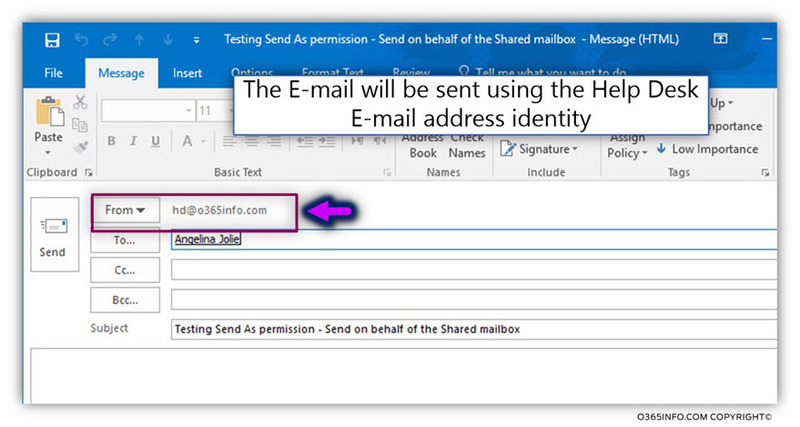 The Help Desk members, need to have Send As permissions, so they will be able to send E-mail using the “identity” of the Help desk shared mailbox ([email protected]). From the recipient list, select the recipient that will be assigned with the Send As In our scenario, we select the IT Help Desk security group. 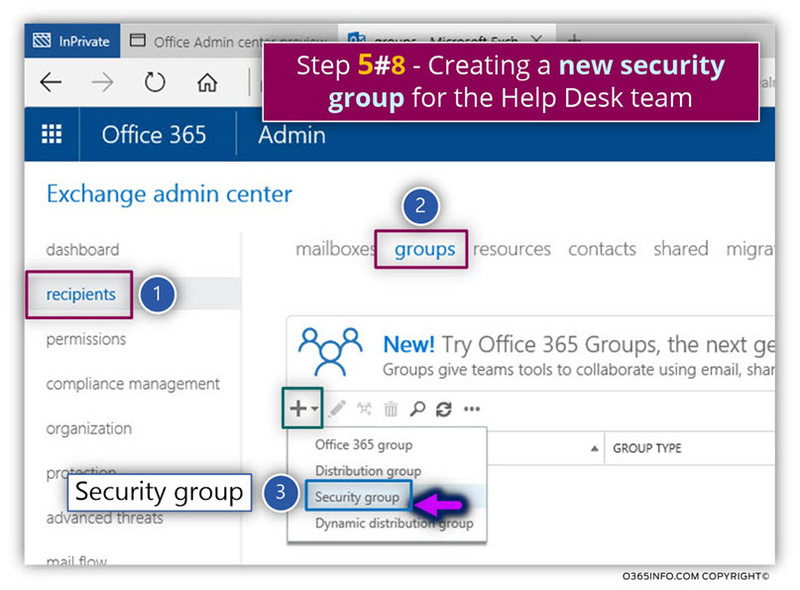 In the following screenshot, we can see that the Help Desk security group (IT Help Desk) have Full Access and Send As permissions on the shared mailbox. 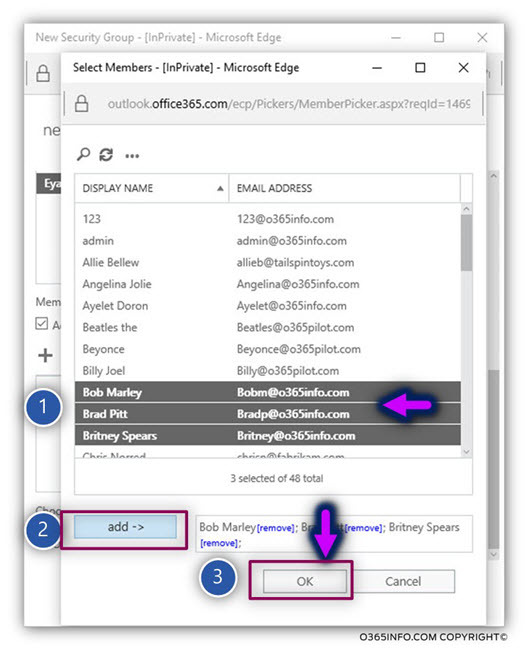 When we assign the Full Access permissions to recipient A on the mailbox of recipient B, the mailbox of recipient B will be automatically added to the Outlook mail profile of recipient A. This “magic” happened because of the special Exchange feature named – AutoMapping. 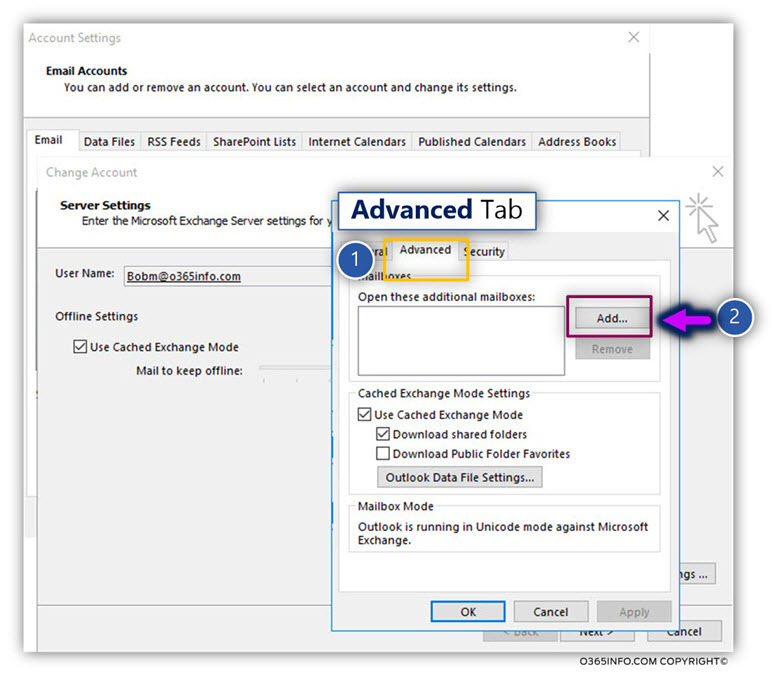 The exception is – a scenario in which we assign the Full Access permissions to a security group and not for the individual user. 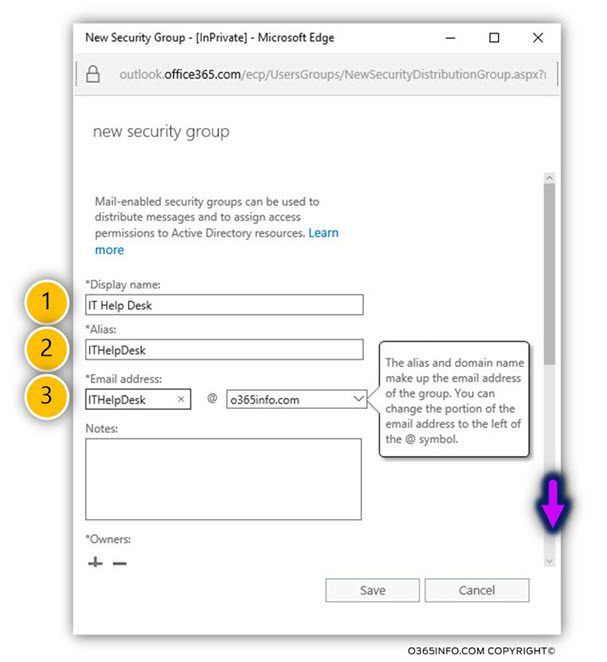 In this case, the member of the specific security group inherits the Full Access permissions from the security group, but the AutoMapping option will not be activated for each of the security group members. 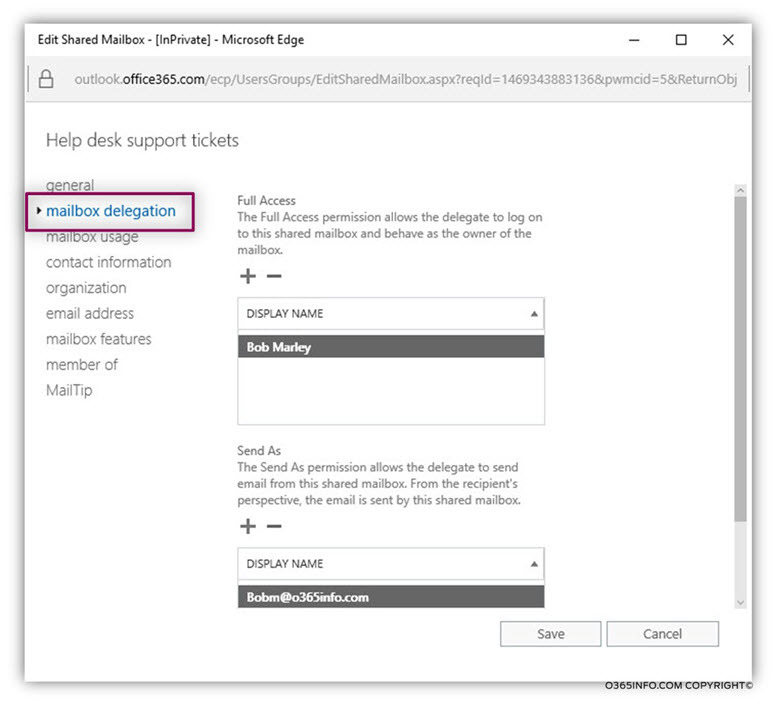 In other words, in a scenario in which we assign the Full Access permissions to a security group, we will need to add the mailbox which they have Full access permissions onto the Outlook mail profile manually. 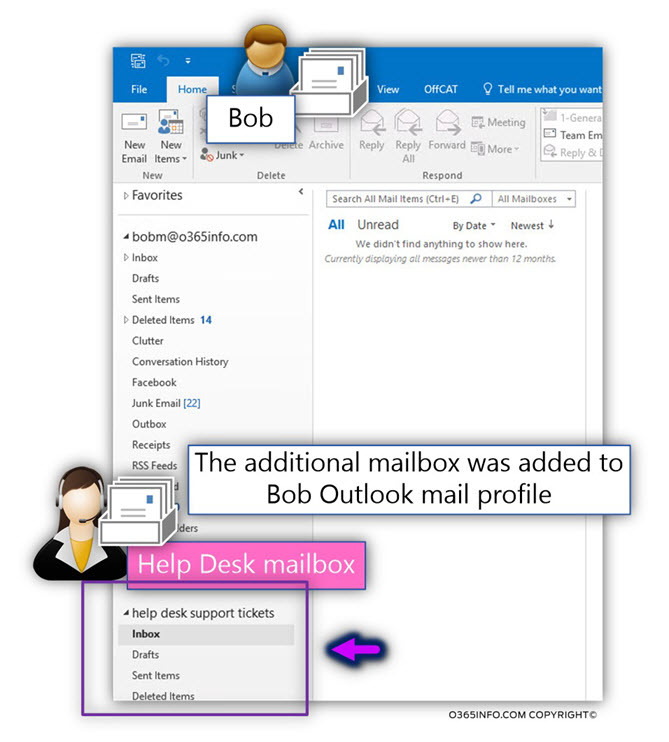 In the following example, we will add the Help Desk Shared mailbox to Bob’s Outlook mail profile (Bob is a member of the Help Desk security group). 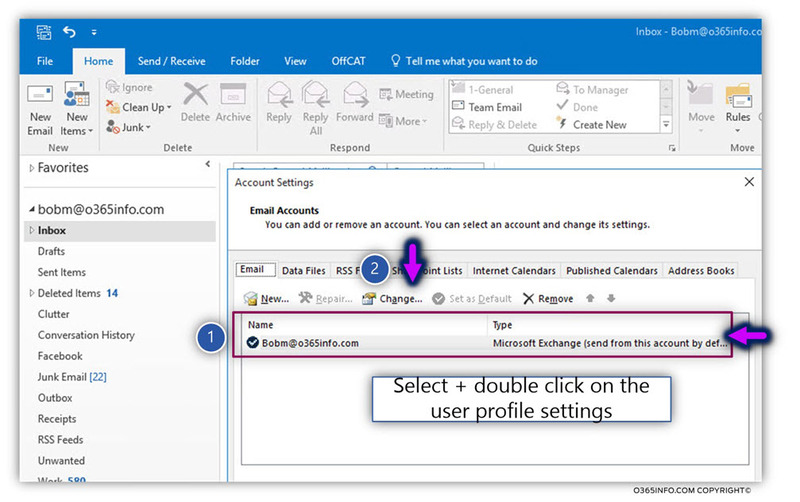 Log in to the Outlook mail profile of the specific user. 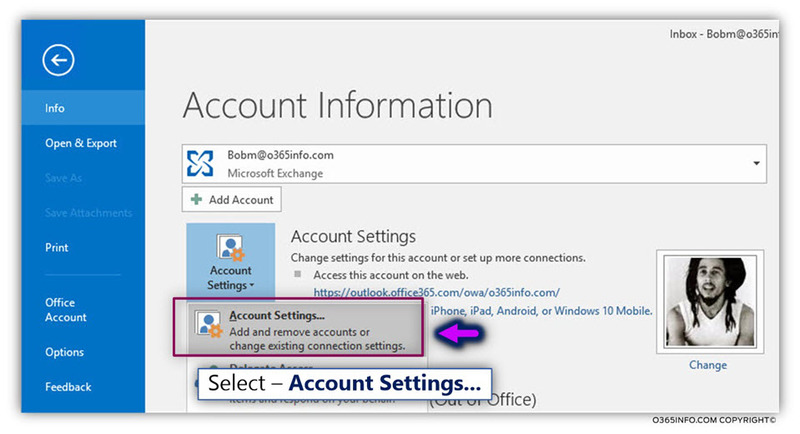 In our example, we log in to Bob Outlook mail profile. 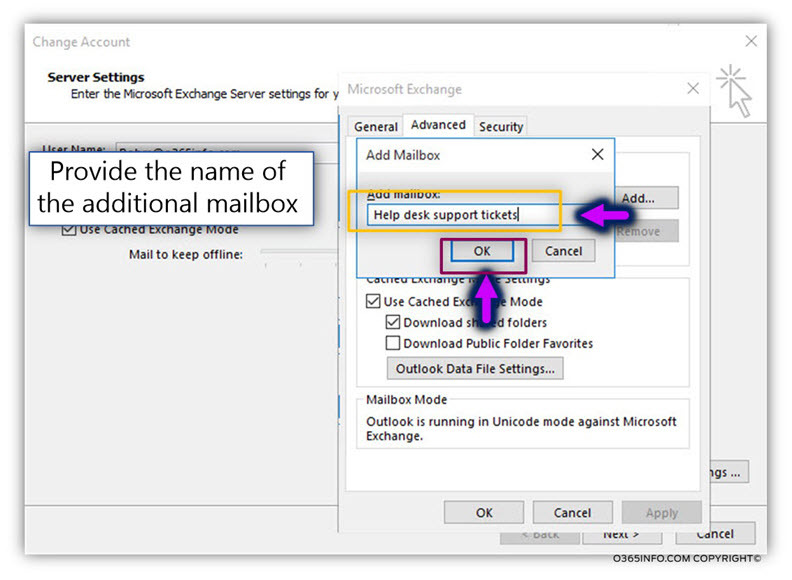 In the Add mailbox window, write down the Alias of the mailbox that you want to add. The process will take a couple of seconds and in the end, we can see that the mailbox was added. 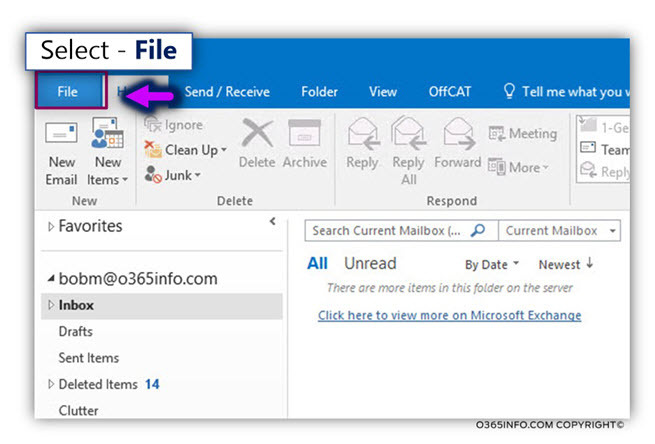 In the current section, we would like to verify that the Help Desk team members, can use the option of “Send As” and send E-mail by using the E-mail address of the Help Desk shared mailbox. 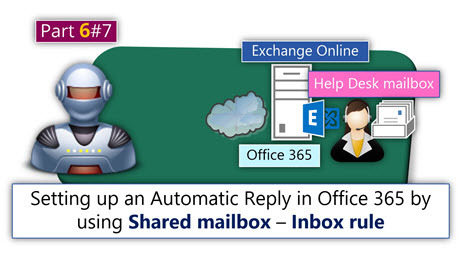 To verify the Send As an option, we will use Bob’s mailbox to verify if the permissions are assigned correctly. 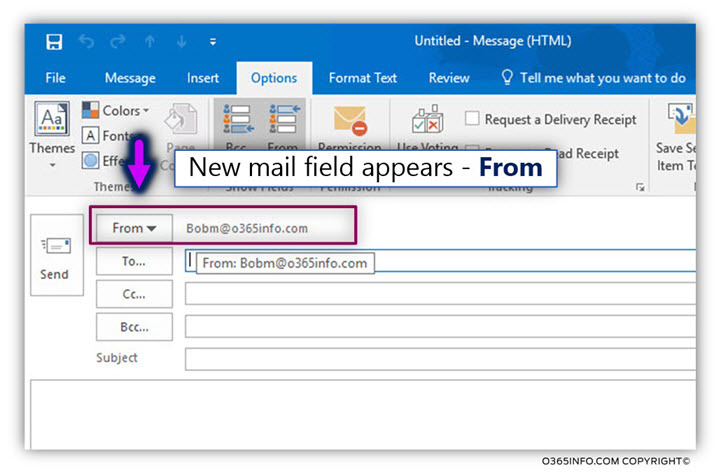 By default, the “Send As” E-mail address is the E-mail address of the mailbox owner (in our example Bob). 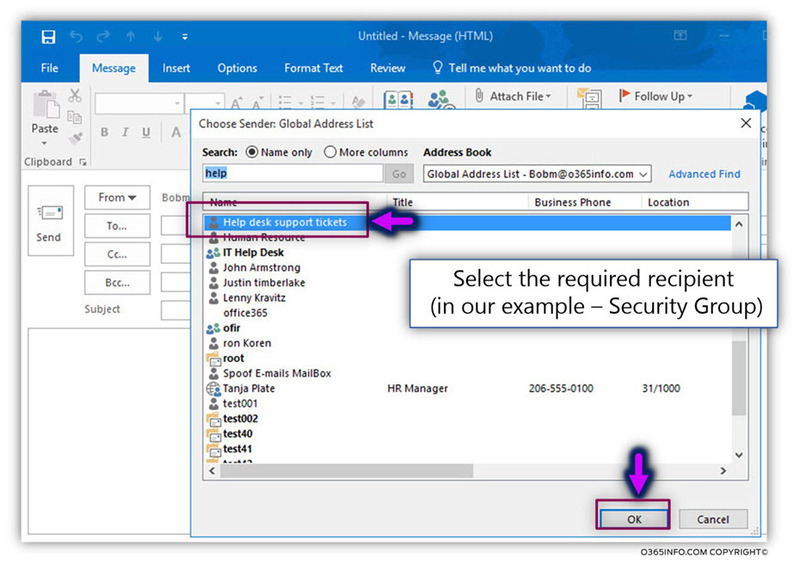 From the recipient list, select the required recipient whom you want to send E-mail using his “identity.” In our example, we select the recipient – “Help Desk Support tickets” recipient (security – distribution group). 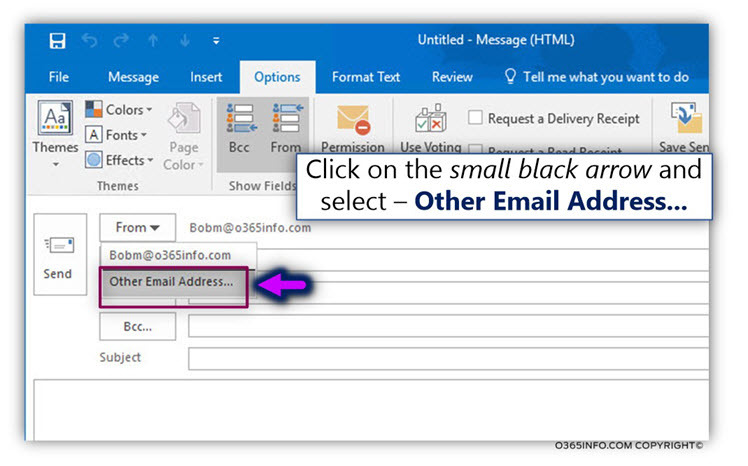 In the following screenshot, we can see that the From the mail field is populated with the E-mail address of the “Help desk E-mail address” (in our example – [email protected]). 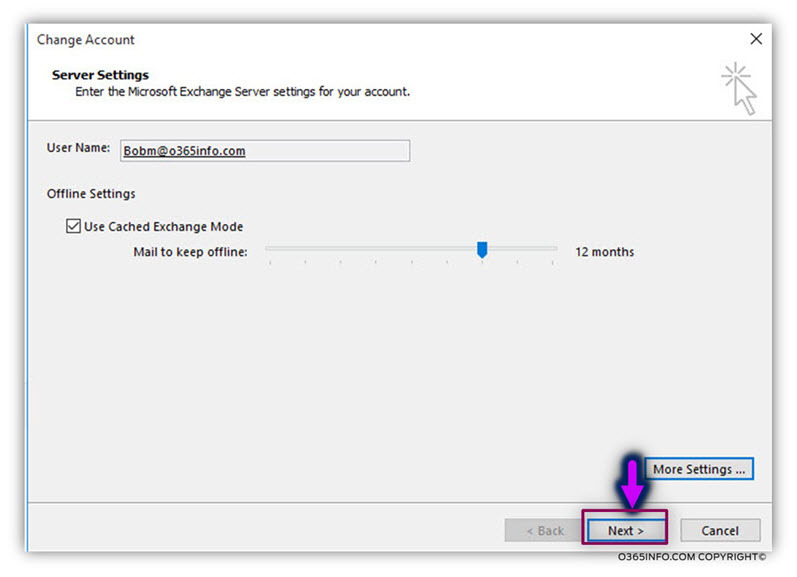 E-mail address using the Help Desk identity + if the mail successfully sent to the destination recipient. In our example, the destination recipient is Angelina. 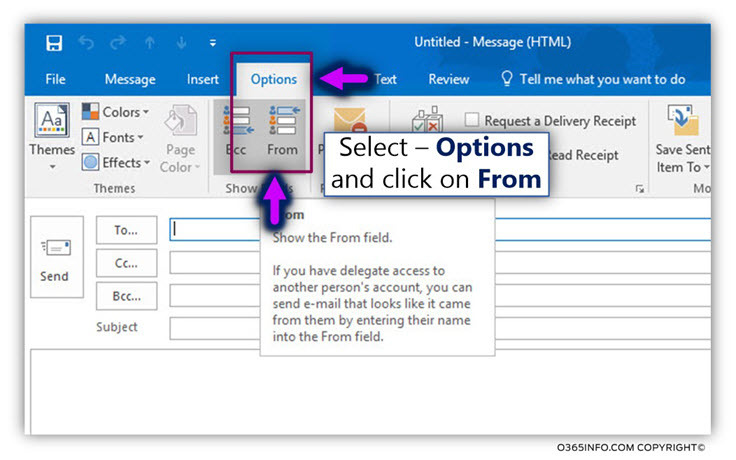 In the following screenshot, we can see that the E-mail was successfully sent to the destination recipient. From Angelina perspective, the E-mail was sent by the “Help Desk” team.